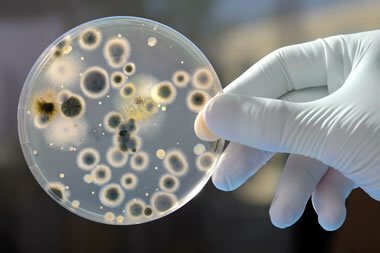 UK health officials have confirmed over 200 hospital patients throughout England have been infected with a Japanese fungus that has proven to be resistant to drugs. The fungus is known as Candida auris and was first identified in Japan. The fungus is referred to as a Japanese fungus because the first case was found in 2009 in a patient in Japan. The first case of Candida auris to occur in the UK was in 2013. While the number of people found to have the infection has increased with each passing year, numbers are still considered low. Up to last month, 20 NHS trusts throughout the UK had found the fungus in their hospitals. Furthermore, over 35 other hospitals have taken patients who have already been found to have the fungus. At present, it is unknown exactly how the fungus is being spread. However, it is suspected that person-to-person contact may be responsible. With that said, there is also the possibly the fungus could remain on inanimate objects, having been spread there unknowingly by an infected person, and picked up by someone else. Thus, health officials are encouraging everyone to practise good hygiene in keeping their hands clean by using sanitising wash and gels. It is possible for someone to be a carrier of the infection and to have no symptoms at all. It can cause mild infections in some, but others may become more seriously ill. If it gets into the bloodstream, it can cause more serious infections. Those who are recovering from operations or have had wounds attended to in hospital may also be more prone to be infected if Candida auris contaminates those wounds. While doctors have access to treatments that can combat fungal infections such as this, it has shown signs of being resistant to them. Research is currently ongoing to see whether anything else might kill the fungus, and to manage outbreaks when they occur. Since most of those who are infected do not present with any symptoms, it is reasonable to assume some will be carriers of the fungus without knowing it. This makes it more likely it could be spread from one person to another. Indeed, health officials have confirmed most of the cases that had been found in the UK were due to screening for Candida auris, rather than treating those who had developed symptoms of any kind. We shall be monitoring the latest developments with interest.